I have theese perler beads lying around. I bought them years ago but I’ve only used them for small projects. I’ve been wanting to do something more with them but I’ve been having trouble finding the right thing for it. So yet another small project at least. 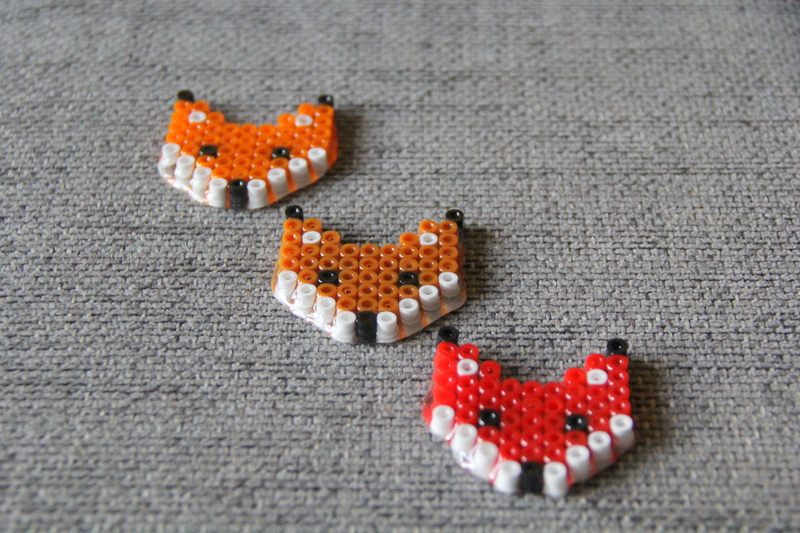 I found a cute fox pattern on pinterest and went for it. I don’t really like the melted look so I just ironed them slightly so they would stick together. I moved them to a silicone cooking sheet, ironed side down. I took this opportunity to use my resin for the first time. I mixed a small batch and applied with a small brush until all the beads were drenched in resin. All I had to do then was to wait and the next day they were done. I still have to attach a pin or something on the back so I can use the as broches. Still have a lot of beads though – what do you use them for? Please give me som inspiration!